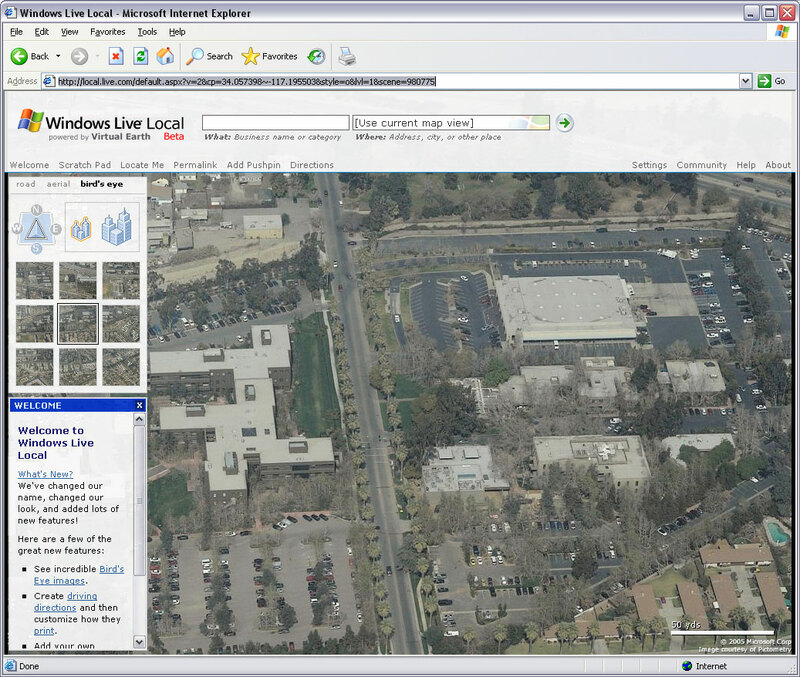 I’ve been playing around with the “Bird’s Eye View” in Live Local and all I can say is that it is very disappointing. If it was seamless, maybe I could get more into it, but the views are from all different angles and you have to manually switch back and forth between them all. I know people say it is good to help reference themselves when they get to an intersection or such, but personally I would have rather seen Microsoft put more money into better satellite imagery, than this 45 degree angle view as it has been implemented. Well if you’ve ever wanted to see what the ESRI campus looks like, click on the link here or the screen shot and view it larger.